Excellent album. Found on vinyl at Good Records, in Dallas. Just got it on vinyl, my sweetbelly freaked down to the whole thing! Outstanding effort. Yeah, guys. Let's get some preorder action. So psyched to hear this thing. PLEASE PLEASE PLEASE I need this on vinyl!!!! Red Hare is a new group featuring Shawn Brown, Jason Farrell, and Dave Eight - all formerly of Swiz and Sweetbelly Freakdown - and drummer Joe Gorelick (Garden Variety, Bluetip, Retisonic). 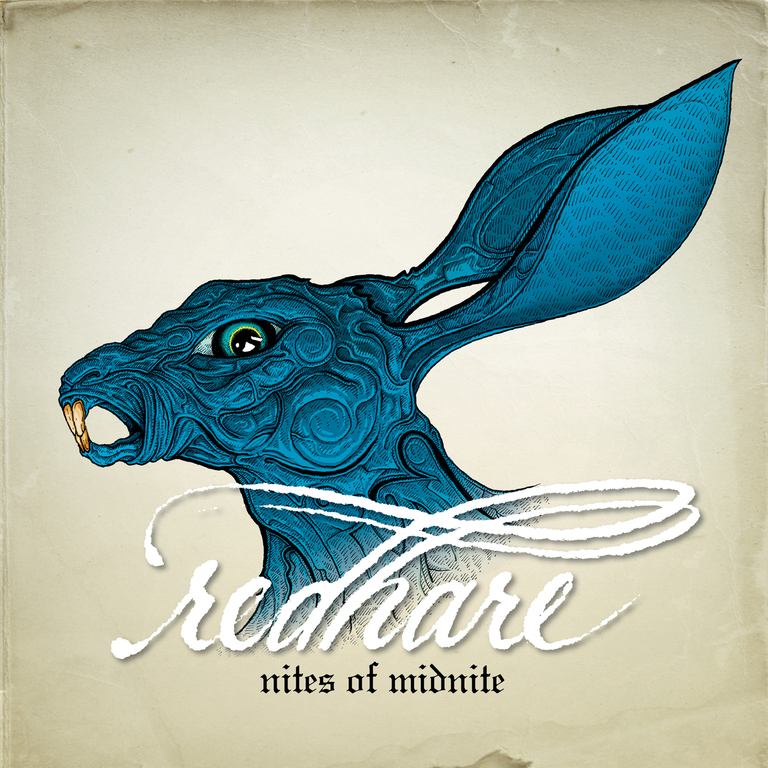 The band's eight-song debut, Nites of Midnite was mixed by J. Robbins at Magpie Cage studio in Baltimore, Maryland. This pressing in on blue vinyl and includes updated cover art.